Ardales Malaga - Getting from Malaga airport to Ardales. 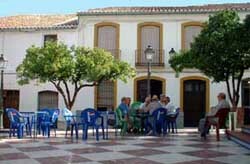 Ardales is a village in Malaga province, situated near Sierra de las Nieves, between the municipalities of Alora, Teba and Casarabonela, in the Guadalteba region to be precise. 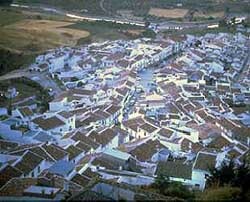 The origins of Ardales are Arabic and the city has narrow streets and typical Andalusian whitewashed houses. It is located at the foot of a steep hill where we can still find the ruins of an old fortress. Its archaeological remains indicate human presence in the area from the Prehistoric period, although the first fortification was built by the Celtic-Iberians, enlarged later on by the Romans. The urban core gained importance as from the 9th century after the arrival of the Arabs. The Ardales Castle, as it was situated near the border, was in constant dispute, alternating between Christians and Andalusians, until the Andalusians lost the dominion of the territory in the end, in the year 1389. Near the Gaitanes narrow gorge, at the top of a large plateau, settled the town of Bobastro during the 9th and 10th century, one of the most conflictive towns in history and from where they stood up to the Cordoba Kingdom. There are several ruins of houses, military constructions or religious buildings for all the visitors to see. As from the Christian conquest, the religious construction began with the Remedios church, built towards the end of the 16th century, later on in 1720 a new church was built on top of the old one. In the lower area of the village they built the Capuchinos convent, and not very far from the convent is the Encarnacion chapel with typical decoration from the 18th century. About 5 km away from the old quarter of the village is the Ardales cave, where we’ll find rock paintings that are over 20.000 years old, a Neolithic site and several burials that date back 2700 years before our time. If we decide to visit Ardales, we simply cannot leave without seeing some of its spectacular attractions like the Gaitanes narrow gorge, where the famous ‘Caminito del Rey’ (the king’s path) passes through, inaugurated by Alfonso the 13th at the start of the 20th century and built by Fishermen from Malaga. The natural park that borders the reservoirs is another recommendable place that one must visit as it has a great ecological beauty. The 50 km road between Malaga airport and Ardales can be completed in less than 50 minutes by car. Check our prices for car rental at Malaga airport clicking here and see how to get from Malaga airport to Ardales. 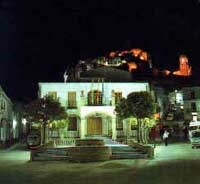 Another option is a taxi transfer to Ardales. Official website: Ayuntamiento de Ardales.